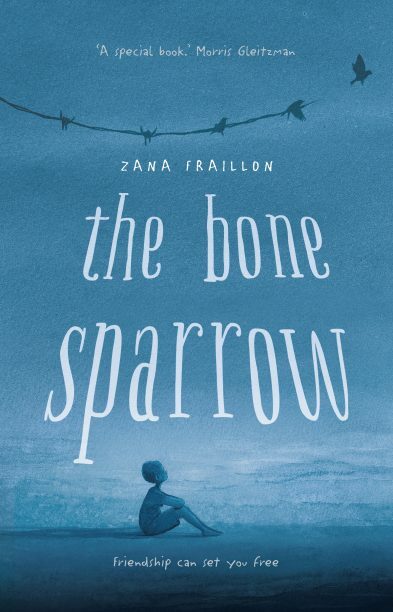 Zana Fraillon has won the inaugural Readings YA Prize for her novel The Bone Sparrow (Hachette). Fraillon’s novel was chosen from a shortlist of six for the $3000 prize, which considers first and second works of young adult fiction and memoir, with the aim of promoting and supporting an emerging Australian writer and celebrating Australian YA books. It’s the third prize of its kind administered by the bookseller, joining the Readings Children’s Book Prize and Readings Prize for New Australian Fiction, which were inaugurated in 2014. The Bone Sparrow was chosen as winner by a judging panel comprising Angela Crocombe and Leanne Hall from Readings Kids; Natalie Platten from Readings Doncaster; and digital marketing manager Lian Hingee. Author Lili Wilkinson joined the judging panel to select the winner. Fraillon’s novel follows Subhi, a Rohingyar refugee born in a detention centre who ‘finds hope, curiosity and friendship in hopeless circumstances’, before his optimism is challenged by worsening conditions in the camp. To see the full judges’ report, click here. For more information about the award, click here.